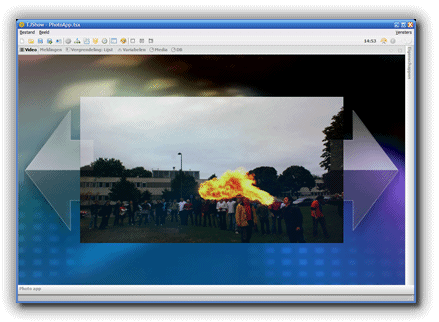 TJShow is show controller software to create highly interactive and highly integrated shows. With the easy-to-use interface, you can create rich multimedia timelines and interaction, and control a plethora of devices and media using industry standard protocols. Using TJShow, you can control a plethora of devices and other software using industry standard protocols, such as MIDI, DMX512, OSC, MSC and many more. Using the powerful input engine (which allows input from devices such as MIDI-sensors) and the powerful 3D-video and interaction engine, people can interact with your show. With multiple concurrent timelines, you can create complex shows in a matter of minutes. Using variables and conditional cues, you can implement even the most complex logic in your show. And if that's not enough, you can hook up TJShow to a database. TJShow is designed to be run in a network environment. 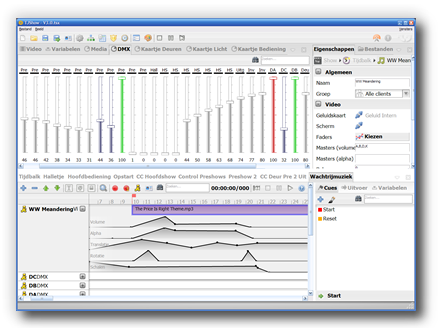 It allows you to control devices over a network (even wirelessly) and to distribute parts of your show to different computers. With a single click, you can play back a track on a different computer. It is also possible to use devices that are connected to another computer, or even uses input that is sent to another computer. This also means that you can use TJShow's stunning, high-quality graphics on visitor terminals. And should your show controller server ever fail (possibly due to a hardware computer), you can set up a fallback server. Show must go on! Deploying and maintaining the show you designed has never been easier. Want to make changes or check the status of something while you walk through your show? No problem, just use a PDA or even an iPhone and a Wi-Fi connection. Want to move the show from your testing environment to production use? Piece of cake: with the advanced patching system, your devices are connected and recognized automatically, and TJShow automatically distributes necessary files over the network.